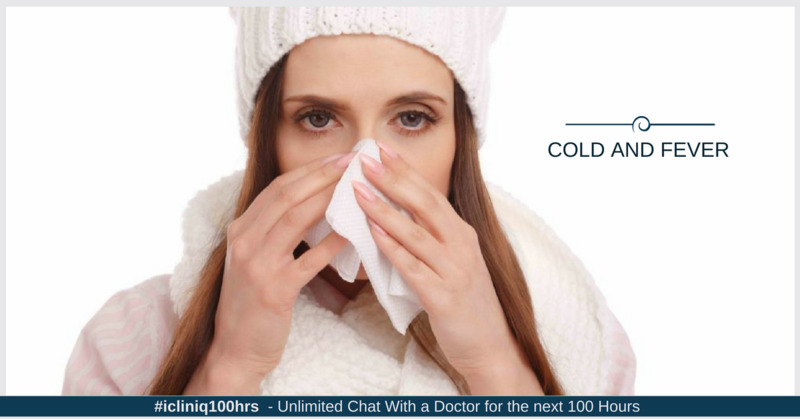 iCliniq › Ask a doctor online › Answers › Family Physician › Combiflam › I have cold and fever for the past three days. How to get cured? Q. I have cold and fever for the past three days. How to get cured? I have a fever and cold for the past three days. I am taking Calpol and Combiflam. How can I get cured? You have a viral or allergic upper respiratory tract infection. Calpol and Combiflam (Ibuprofen with Paracetamol) both should not be used at a time. Use only one drug among these two as they are anti-inflammatory and analgesic. You can also take Vitamin C 500 mg twice a day for five days. Do saltwater gargle with warm water three times a day. A decongestant like Levocetirizine can be taken additionally. Avoid excess spicy foods and drink more water. You can investigate your complete blood count (CBC) for further work up. I have a headache, nose and ear block. Are my sinuses infected? I catch a cold with fever too often. What is the reason?